Religion author Philip Yancey described his approach to his books this way: "I'm not a professor or academic or ordained pastor. I'm an ordinary pilgrim. When I tackle a project, I try to represent my readers." In What Good Is God?, he sets out on a spiritual pilgrimage that takes him to scenes of trauma and healing at several far-flung locales. 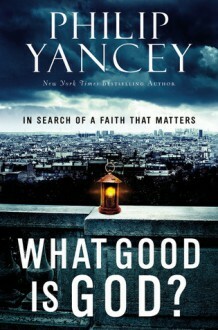 His search for answers about the value of belief leads him to crowded Mumbai, India streets that were rocked by terrorist attacks; to the backstreet motel where Martin Luther King, Jr. was assassinated; to the Virginia Tech campus still recovering from a student massacre; to an AA convention and to a conference for women attempting to survive in prostitution. A journey where every stop brings new answers.